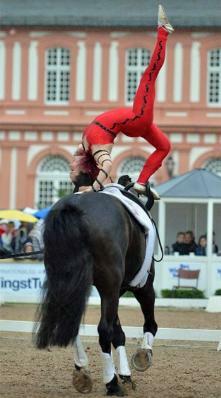 In 2012 Team GBR qualified to complete at the World Vaulting Championships in Le Mans, France. Hannah Eccles also completed in the Senior Individual Female class. 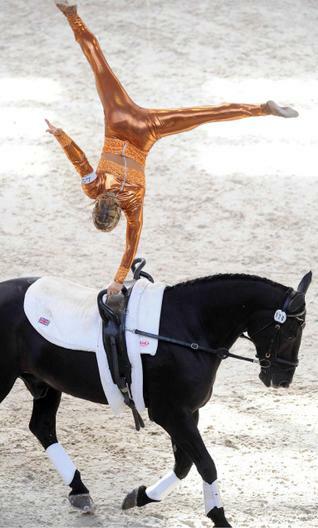 Vaulting on W.H. 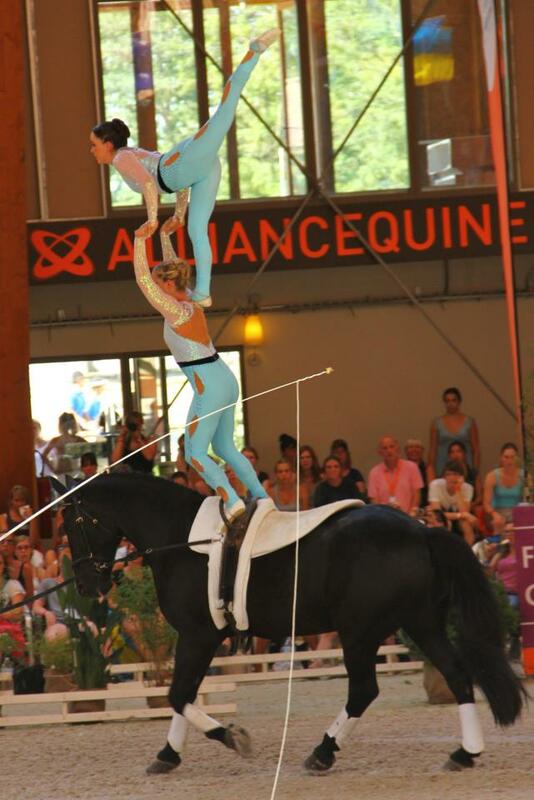 Bently and lunged by John Eccles Hannah secured 8th place at the World Championships and was 2nd in the World Cup final. Hannah’s world ranking was 4th. 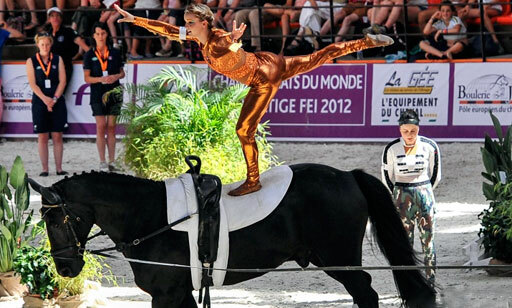 Team Eccles had certainly put British vaulting on the map, and their dedication and commitment was an enormous contribution to equestrian vaulting within the UK. EVS were selected to send a Senior Squad to the Worlds. The team were Sara Shortland, Lydia barham, Steph Hunter, Paige brown, William Jenkins & Jesscia Haynes, vaulting on Go For Gold and lunged by Julie Newell. 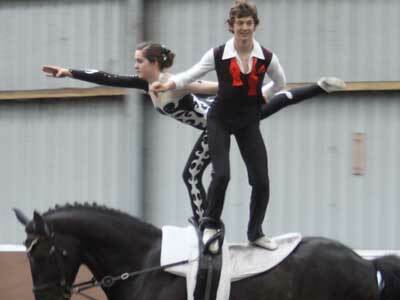 Rebecca Norval and Andrew McLachlan won the Gold in the Pas de Deux, vaulting on Tylers Kernal and lunged by John Eccles. 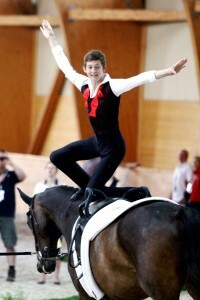 Andrew McLachlan also secured third place in the Junior Individual Male class, so he was delighted to be going home with two medals from these Championships. 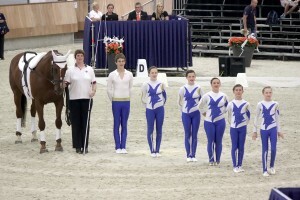 SSS represented Team GBR at the Junior Championships and they came 8th, lunged by Rebecca Hewit. Stacey MacPherson was 13th in the Junior Individual Female, lunged by Rebecca Hewit.